How do I print BIN labels for my SKUs? Quick inventory picking is possible only when merchants can locate the items quickly in a large warehouse. Locations need to be labeled in a systematic manner so they can be navigated easily. Pulse Commerce now allows for Bin label printing. First, you will need to create the Bin label formats, under Settings > Manage Label Templates. You can find out more on creating label templates here. Select the warehouse location you will print the Bin labels for. 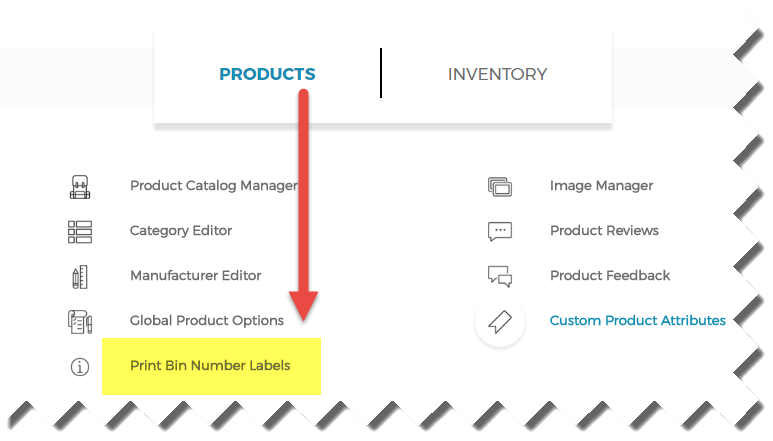 Select the SKUs you wish to create Bin labels for. Export PDF to create a PDF of the Bin labels to print.